When I spotted Treads school shoes have a '1 year Guarantee Against Destruction', I had to question if it was real. 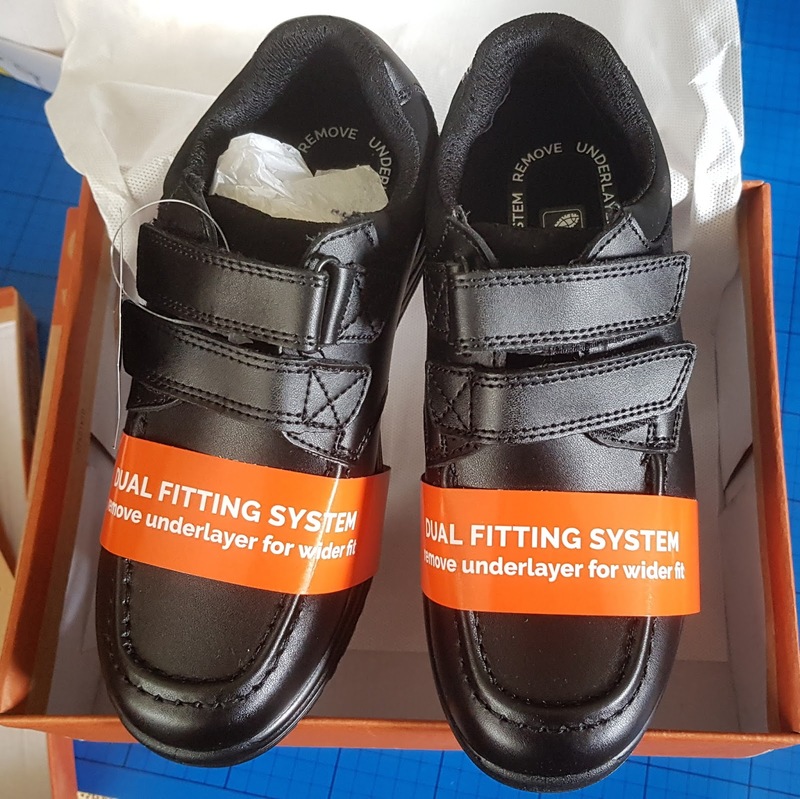 It is, and they're confident that their specially designed moulded soles and reinforced shoes can withstand all the punishment your little angels can put them through. Treads asked if I wanted to review, and as my youngest is on his 3rd pair of shoes already this school year, I was utterly delighted to put them to the challenge. Obviously this post is our initial reaction, but I will revisit our shoes once my children grow out of them to see how well they did! 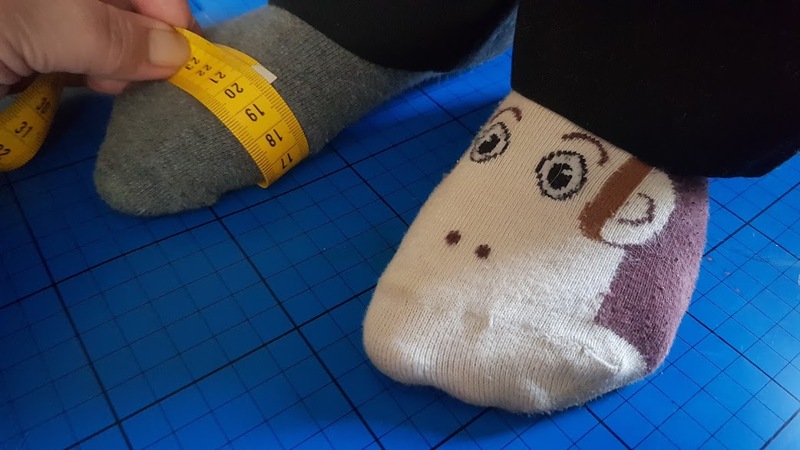 Treads sell online, so you need to measure your children's feet before you start. 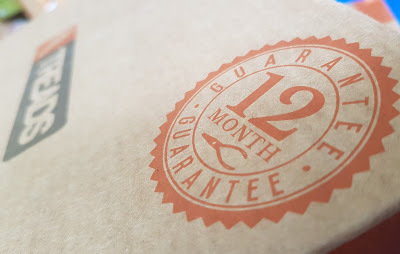 It's really clear and easy, especially so if you happen to have a tablecover marked in centimetres like I do. We found my children's shoes fit exactly as expected, with my 9 year olds a little big as he was right on the edge of the measurement band. My children measured at 'big foot' size 1 and size 4 1/2. My shoes arrived safe and sound in shoeboxes only a few days later. Included is an explanation of some of the technology involved in making your shoes. It's also very easy to return them if you aren't happy. The shoes themselves are really impressive. 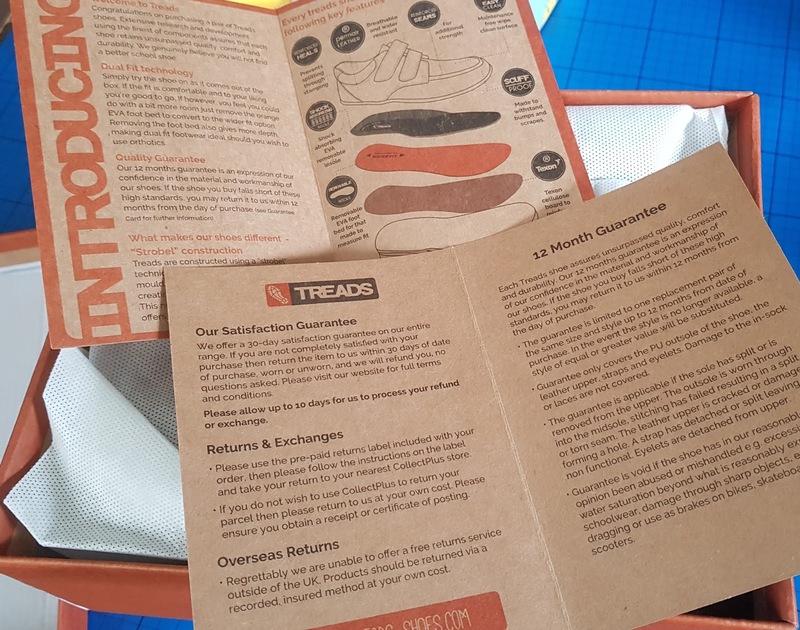 The stitching is really tight and well finished, the soles are really flexible but thick and chunky. 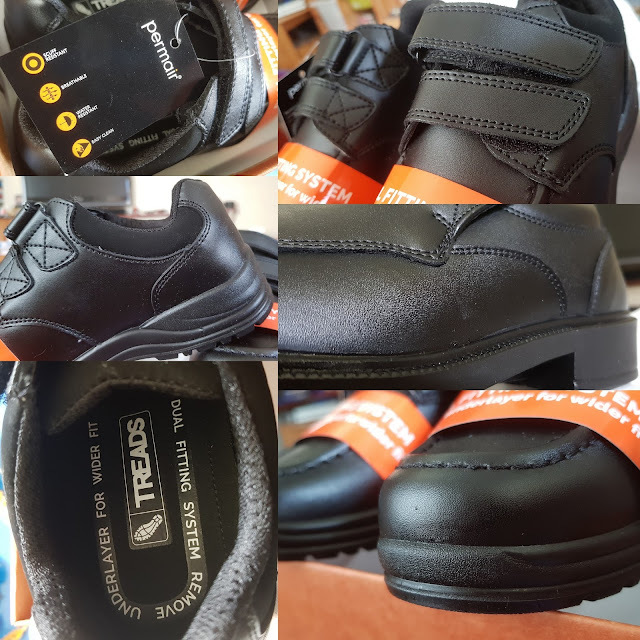 Treads are a new brand and currently only make boys black school shoes, but new developments are in place, with a girl's range due next year. There are currently 8 different designs to choose from and my boys have different tastes, but both plumped for shoes without laces. My 8 year old went for Sydney - my favourite style and really very much a classic with Velcro-style touch-fasten. 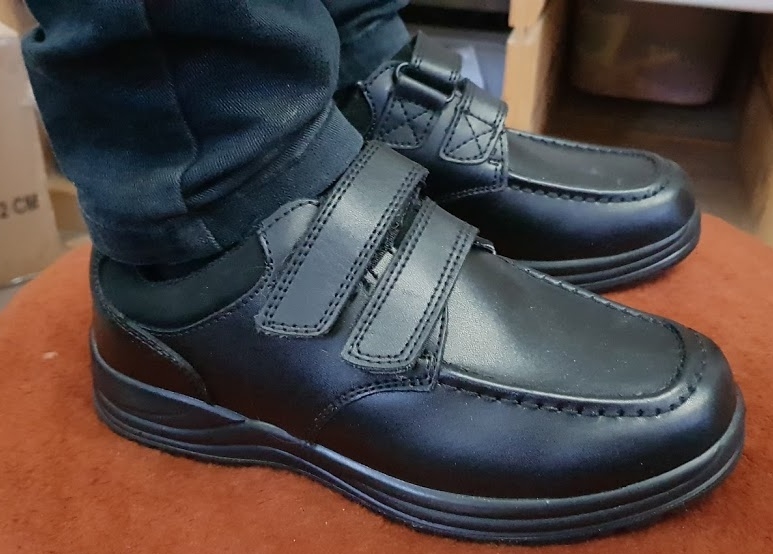 My 9 year old went for a very grown up and sensible slip on Monaco. Treads shoes also have a Dual-Fit system with a special removable insole. Taking it out gives a little extra width for children with wider feet. 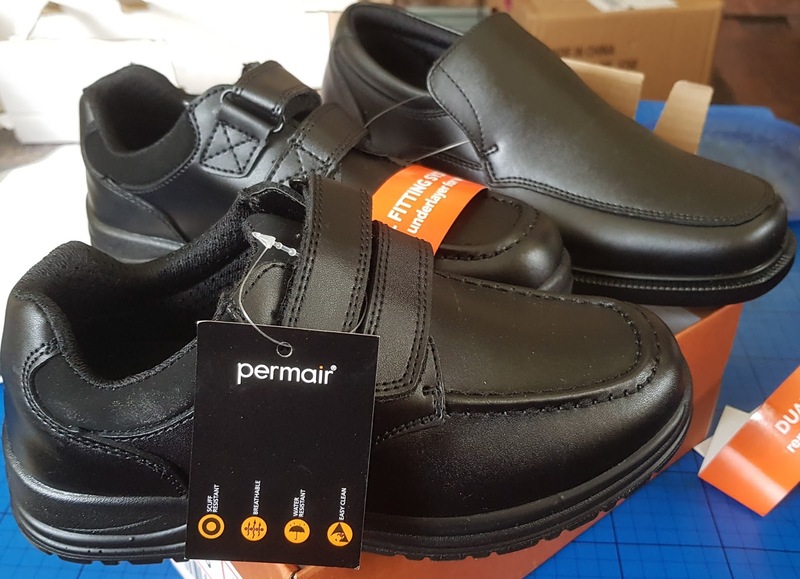 They have Permair Leather uppers which should allow feet to breathe while keeping them dry, reinforced heels to prevent splitting and shock absorbing insoles. I'm no professional, but I've been buying school shoes for 20 years and I know some of the failings we've had in the past. 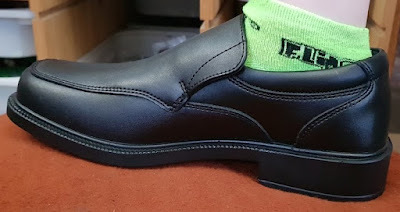 I know that buying cheap, low quality school shoes rarely ever turns out to be a bargain, and a shopping trip for school shoes is not usually a fun experience you want to keep repeating. 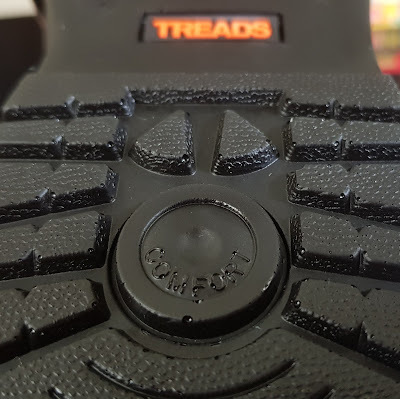 I'm genuinely impressed with Treads. 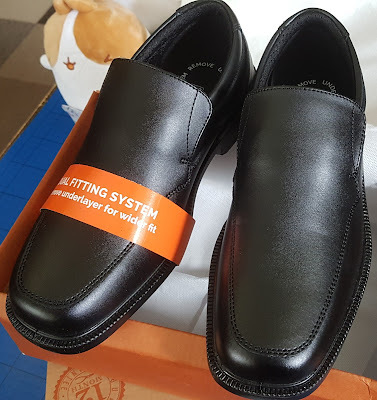 They certainly look like they'll do a great job, each pair costs less than a good quality high street equivalent and my boys are very happy with their new shoes.